​Thank you for visiting our site. Please use the resources on the left to give you information about what is happening in our classroom. I do not update the site on a consistent basis because it is mostly a reference base for parents about our curriculum and procedures. More updated information and pictures are available through our SeeSaw Journal! 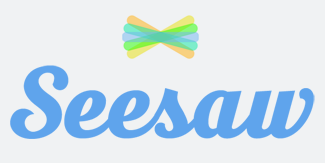 You can access your child's page without a handout or QR code by following the SeeSaw Directions 2018-2019. Even if you have an account for your child you still need to follow these steps to view their first grade work! Reporting an absence: If your child is absent, please report the information to the office. The phone number is (860) 233-6994. The extension is 2699. Tip: If you have an iPhone, put in the Aiken number and in the "notes" section, write "Absence Ext. 2699"
Download the Aiken School Song Below!